If you’ve never tried fruit ice cream you’ve been missing out. 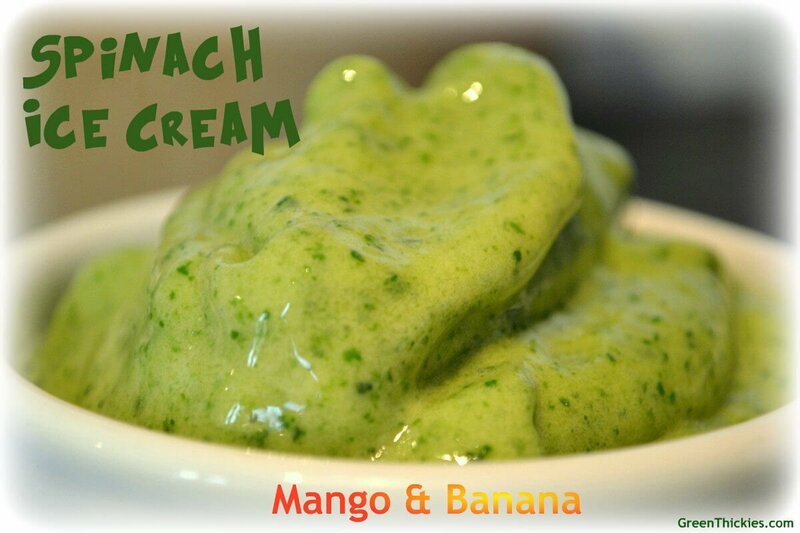 Here I take it to another level with this simple spinach ice cream that you can make in a regular smoothie blender. It’s sweet, gorgeous and very healthy. [pinit] Green Thickies is branching out into other types of green goo. 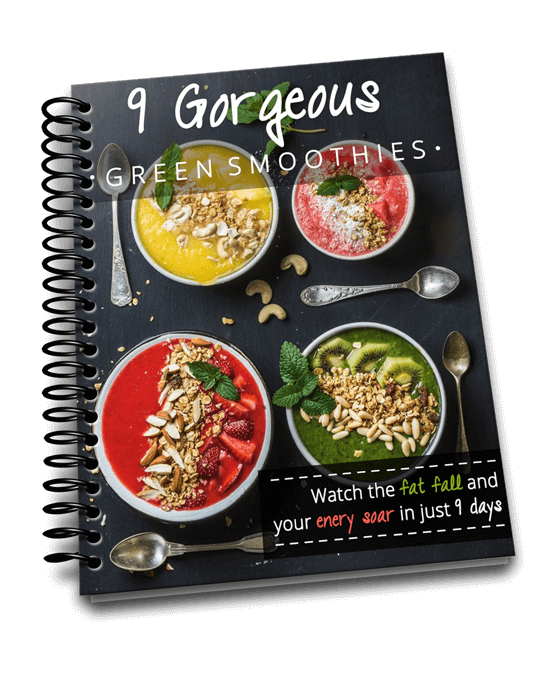 In the future I want to share a variety of different recipes with you including anything healthy, green and blended or thick, blended and filling containing oats such as my Thickies (fruit smoothies with oats). I’ll still be sharing at least one green thickie recipe with you per week, hopefully more if I get round to it. Have you ever tried spinach in your ice cream? Before you all run for the hills, can I start by saying if you’ve ever tried a green smoothie or a green thickie, you’re brave enough to try a green ice cream too. It’s worth stepping out of your comfort zone as it’s absolutely gorgeous! If you’ve ever tried an ice cream made only from frozen bananas you’ll know how amazing they taste. Something happens to a banana once it’s frozen. It’s flavour completely changes and it becomes light,fluffy , sweet and just completely different. You have to try it to believe me. Anyway, this spinach ice cream takes it to another level of healthiness and adds in some spinach too. Trust me you can’t taste it at all. 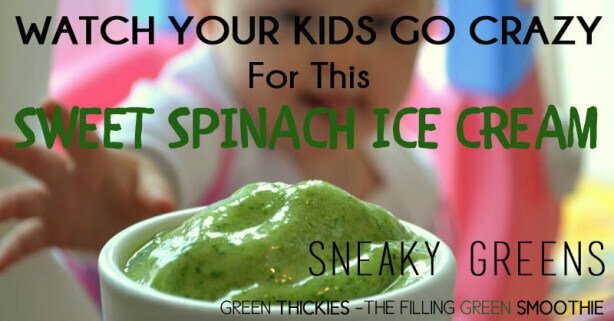 If your kids are still not into their leafy greens, here is another way to get the greens into them. My baby won’t touch a salad with a barge pole, but she couldn’t get enough of this spinach ice cream. She knew she was going to like it even before she tried it. I felt a bit cruel taking photos of her reaching out to the ice cream as she was literally drooling, so we sat down and had some with our lunch after that. Eat your ice cream guilt free and never look back with this amazing spinach ice cream. Have you ever tried a fruit ice cream or thought about adding greens to your ice cream? Chop your banana and mango and freeze them the day before. You might need to leave your frozen fruit out for 5 minutes to defrost slightly so they are easier to blend. Blend all the ingredients together in a high speed blender. If you have a vitamix you can use the tamper to assist with blending. If you don’t have a high speed blender, you could use a food processor. You may have to keep stopping and scraping down the sides. It also might be easier if you double the quantity as the weight will push the ingredients down. Feel free to add more milk a little bit at a time if you need to, but don’t add too much or you’ll just end up with a green smoothie. Thanks for the mention – it sure looks delicious! No problem. I am loving your blog. I found it when I searched for green ice cream so thank you for the inspiration! It’s taken me a while to get round to it, but there’s no going back now! Now I think about it, I like my smoothies so thick, and I so rarely leave out a frozen banana, that they pretty much all end up with the texture of ice cream! Frozen mango definitely adds that ice cream-like texture too, just so smooth and creamy, I feel like making this right now! I love banana soft serve, especially when layered with overnight oats into a parfait – my favourite two recipes for that come from Oh She Glows (a raspberry version and a cherry version). I like your plan to break down your posts, I think that might make your blog more … streamlined, if that’s the right word? I’m not a blogger, but I know as a reader I appreciate shorter, more focused posts. 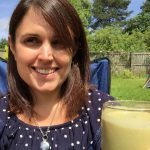 I think round-up posts are good about once a fortnight or month too (depending on how long they are), whether they’re ‘blog-love’ ones, highlighting your favourite posts, highlighting your own favourite recipes – all good stuff, great for reminding people of things they may have forgotten and bringing new readers up to date. Thank you for your lovely thoughtful comment. I’m so glad you like your smoothies thick, you’re definitely in the right place then! :-) I used to have enough frozen bananas but lately I’ve been buying big bunches at a new ASDA for 10p a bunch so I’ve literally got hundreds now. More yummy ice cream to come! I’m looking forward to trying more smoothies with frozen bananas. Wow, banana soft serve and overnight oats sounds amazing! I have that on my recipes to make list now! I have just been planning an ice cream sundae, but I’m quite new to parfaits and sundaes never having had much if any experience of them. So it’s all very new and exciting for me. I love Oh She Glows and I’m going to have to try more of her recipes. Thank you so much for your feedback about my new posting plans. It means a lot to me as I want my readers to be able to read my content easily! I personally love other people’s round up posts the most as I get to find even more fun stuff! Thank you, she is such a poser! She smiles when the camera comes out now. I made the photo of her with ice cream all over her face black and white as I know a lot of people don’t enjoy seeing dirty baby faces when they’re trying to drool over ice cream! Ooh, I wish I had a VitaMix! I think now I own a car it’s my next “big purchase want” :D I like that video, I’ll be looking at more of her stuff, thanks for the link. It reminds me a little of HEAB’s protein ice cream video too. 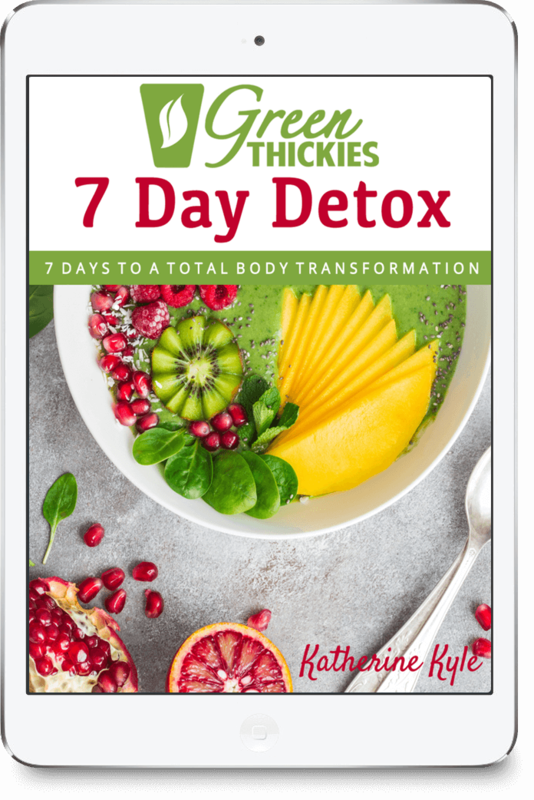 I like all different types of round-up posts too, I’ve also found a lot of useful stuff through them: great recipes, fun new blogs, tips and workouts, all sorts! Yes I saved up for well over a year for my vitamix and had to prove to myself that I would make use of it. I often use it about 4 times a day now so I really do get my money’s worth. It’s one of the best things I ever bought. Thanks for introducing me to HEAB. I love it when she puts her headphones on using her vitamix! Her twins are so cute. I’ll keep an eye out for her blog too, thank you. That’s great you like the broccoli smoothie. I’ve not made a smoothie with broccoli since then and I remember being able to taste the broccoli in it which some people don’t like but I’m so glad you like it. It’s very healthy anyway. So glad you found all your food reduced. It’s my new way of eating unless I’m planning a special recipe I’m going to eat this way from now on. After freezing about 50 bananas yesterday from ASDA my husband said he never wanted to see another banana again. Broccoli ice cream, great idea. I’ll definitely have to try that one. Thank you. My ice cream sundae combines all of my favourite flavours. It’s a bit more of an effort but still a very easy recipe. Yum! Ha ha, I know it’s not something I would have even considered I’d find attractive a couple of years ago. If you can get over the green colour it is actually gorgeous! Thanks for visiting. I love thick smoothies! Smoothies in a bowl are a staple around here, so the idea of spinach ice cream is definitely appealing! 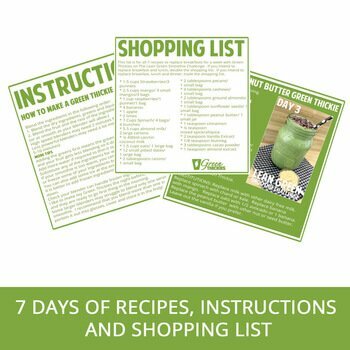 Such a great way to sneak in more greens to our diet. I like your ideas for how you’re moving forward on your blog- recipes, round-up posts and more informative posts! I think the longer you have a blog the more it evolves and it’s fun to test yourself and write about new things! Plus it keeps it fun for you! Thank you. Yes my lucky baby gets a version of this ice cream along with her dinner every night now. Ice cream for dinner with no guilt, what could be better than that! Yes I have so so many ideas for how I want to take my blog forward. Just lack of time is a factor at the moment but I’m looking at this blog in the long term and I know in the future I’ll get more time to spend on it to make all my visions a reality. In the meantime I’m just loving blogging so much. It’s great to connect with people and you get to be creative and do something you love while helping people. Amazing! Wow, this is a great idea for baby food! I wish I had found your blog sooner! Thanks for responding to my invite and linking this and more up :)))) I’ll be back!!!! Thank you Jessica. Ha ha, yes I try all my healthy stuff out on my baby. She gets green yoghurt, green hummus and green soup sometimes. It’s the only way to get her to eat greens as she won’t touch lettuce, unless of course it falls on the floor or she picks it herself from the garden for some reason! Thank you also for introducing me to your blog. 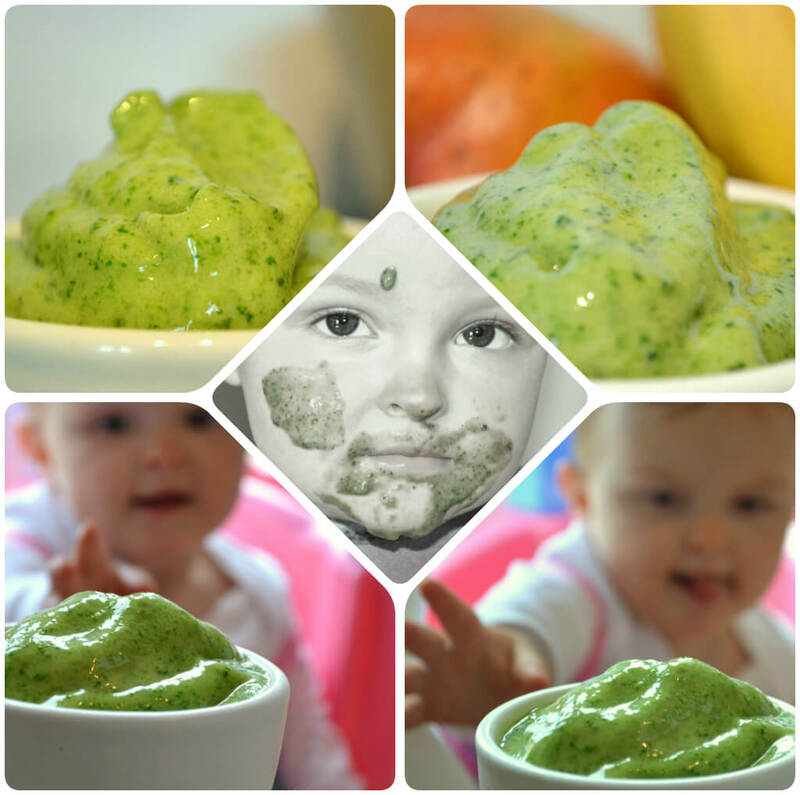 I’m always looking for healthy baby foods! making spinach smoothies is the only way I can sneak it into my daughter diet. she is weird if it comes to ice cream: she does not like ice cream!!! I’d love to try your recipe just for myself. 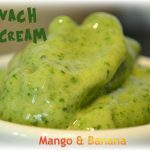 I normally make banana ice cream but never have thought about adding spinach! Ha ha, yes my baby is weird when it comes to food too. She only eats or drinks green sloppy things, not anything chewy and green apart from green fruit. She won’t even try a new green vegetable. I think she can smell it and knows she won’t like it. I make this all the time just for me too when I get sweet cravings as I made a pact to try and add greens to all my meals and snacks and it’s done wonders for my health.